Today’s necklace is another one which acts as a ‘benchmark’ for me to compare against the future work that I do. 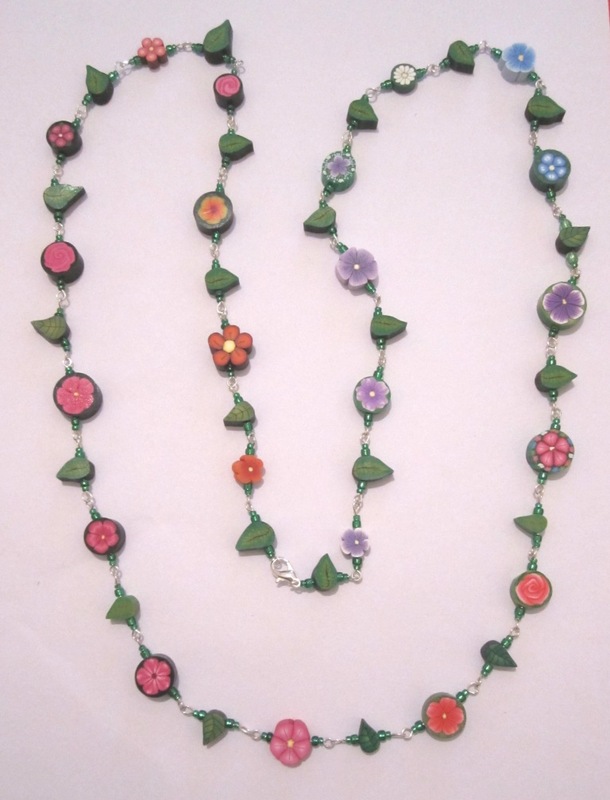 It’s made up of a selection of many of the basic flower cane designs that I have made over the last couple of years, and every single flower bead is completely different to the others. However, very few of them make me go “Wow” when I look at them – so I hope that by the time I have finished my polymer clay quest I will have discovered some cane designs that really stand out. …and let’s hope I improve over the next 98 days. 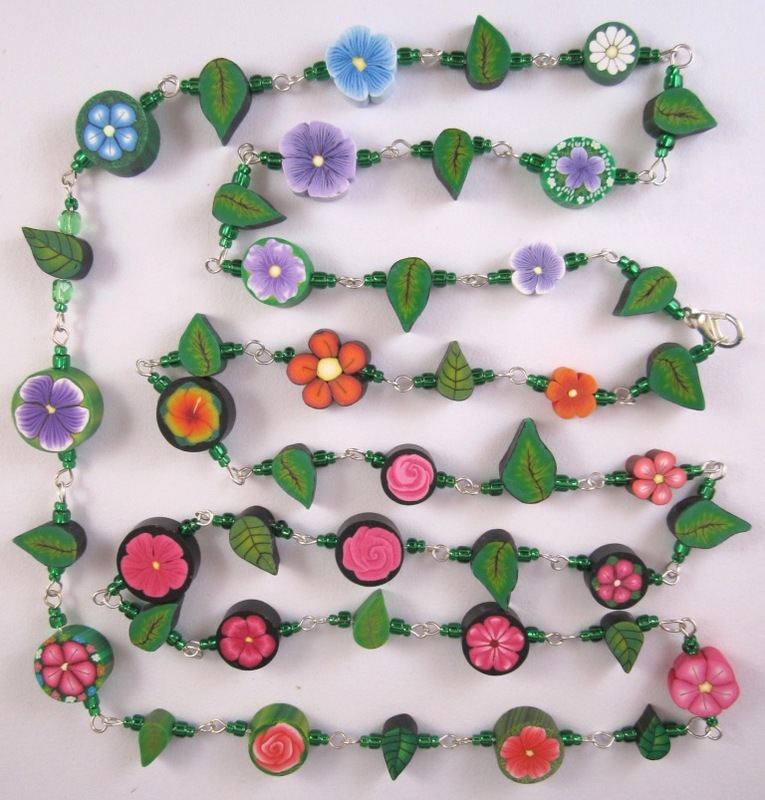 I would like to make lots of lovely millefiori designs, and create some really big and bold pieces instead of the small round beads that I currently make.